I was reading the Fun With Num3ers blog by Ben Vitalis. 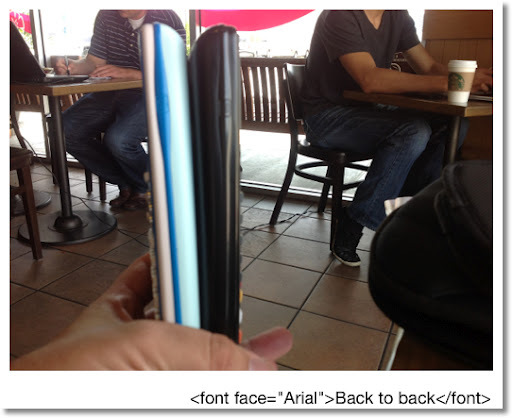 The August 18, 2012 entry talked about certain fractions produced various patters. 1. 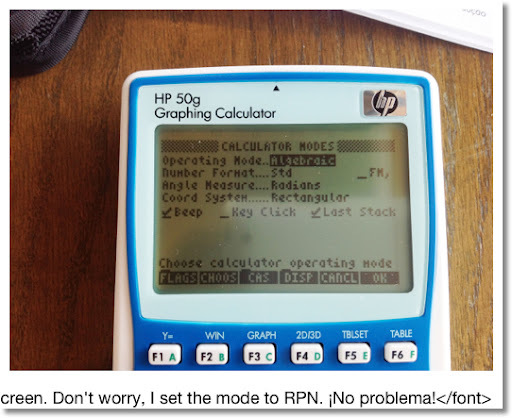 Set the HP 50g to the Exact Mode. 2. Enter the expression. Remember, do not include a decimal point, use fractions. 5. Enter an integer that represents the number of decimal places. This number must be an integer! 6. Press [left shift], [EEX] (10^x) (ALOG function). Multiply. 7. Find PROPFRAC (soft key label PROPF) in the Arithmetic menu. Execute it twice. The result you want is an integer plus a fraction. The integer part represents number * 10^n. Ignore the "remainder". Hence 22 / 7 to 24 places is 3.141285714285714285714285714. So to 24 places, 10 / 81 - ((3340 / 3267 * 10^-9)) is 0.1234567890101112131415161. 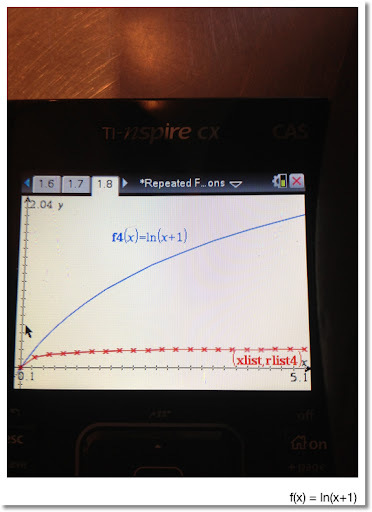 This method can be extended to include sums and series. 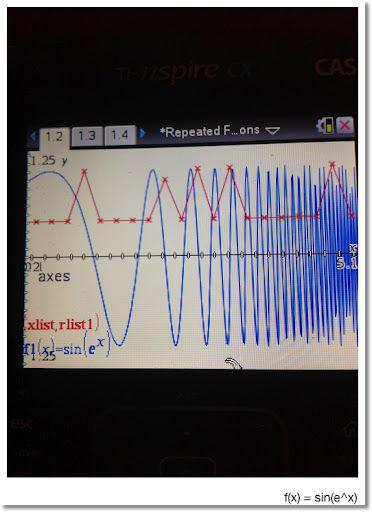 Finite series and sums work well. Infinite sums and series, that's another story. Sometimes a program will work better. 3. Enter a program that represents a loop. The format is like this: << start end FOR var required expression + EVAL (we want exact answers) NEXT (or increment STEP >>. 7. Find PROPFRAC (soft key label PROPF) in the Arithmetic Menu. You may have to execute it twice. The result you want is an integer plus a fraction. The integer is the number * 10^n. Ignore the "remainder". * This method works best fast converging series. Series for π may not converge as desired (please see the example below). * The loop can take a long time if the ending value is high. * You have to make a mental point of where the decimal point should be. 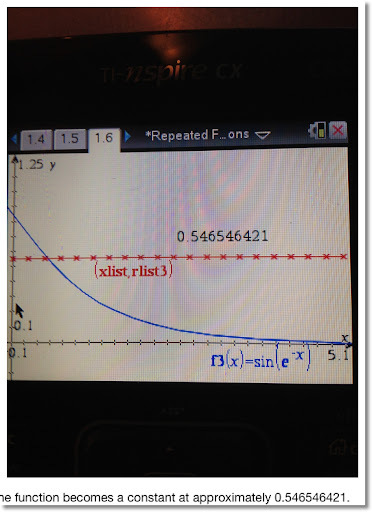 It is best to get an approximate value of the number you want to try to get more decimal points for before beginning. * This method is not perfect! Remember, we get the result of the calculation, which may not be the desired number. Result: 10^24 * Psi(21) - 10^24 * Psi(1). Clearly, this is not what we want. Let's try a program. 1. Enter 0, then press ENTER. 2. Enter << 1 20 FOR X X INV + EVAL NEXT>>. Press ENTER, then EVAL. INV is the same as 1/X. To 24 decimal places, Σ (X^-1, X, 1, 20) = 3.597739657143681911483769. Let's use the series from Nilakantha. Remember the integer part divided by 10^24 is our "real" answer. Matches π * 10^24 for the first four digits. This blog is property of Edward Shore. © 2012. 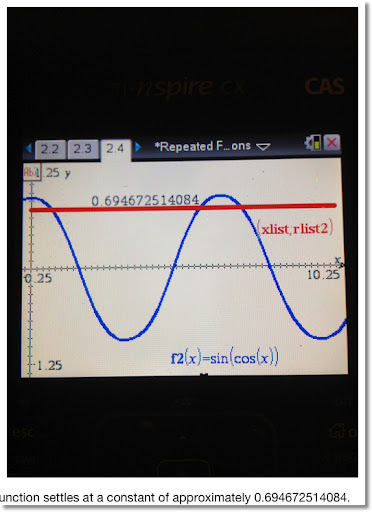 What happens when you repeat an operation or a function on a number? 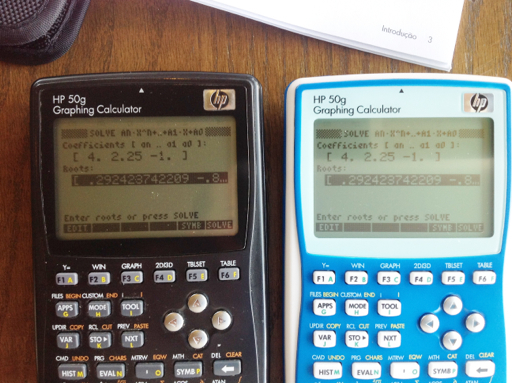 I am sure we have all entered a number on a standard calculator and pressed the square root function a number of times. Eventually, each non-zero number goes towards 1. 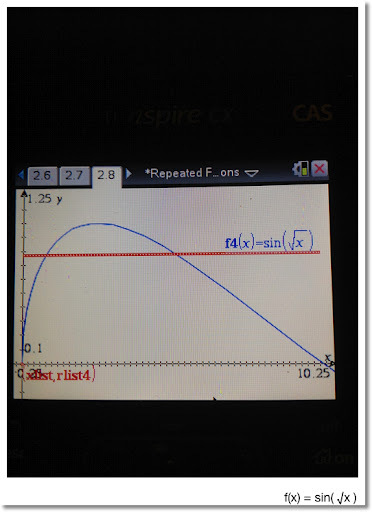 The following graphs show are functions that are repeated. The curve in blue represents the function, the "curve" (really a Scatterplot) in red demonstrates what happens to a certain interval when I repeat a function 10 times. I used a TI nSpire CX CAS for this. 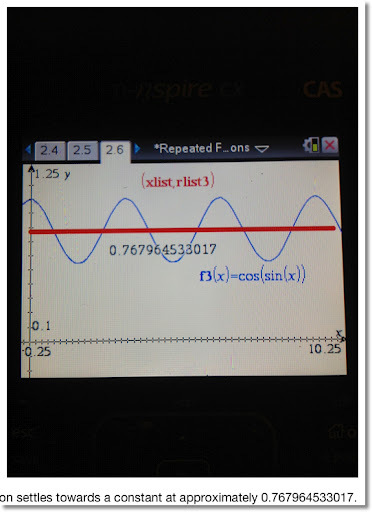 That Ans function (last answer) comes in handy! 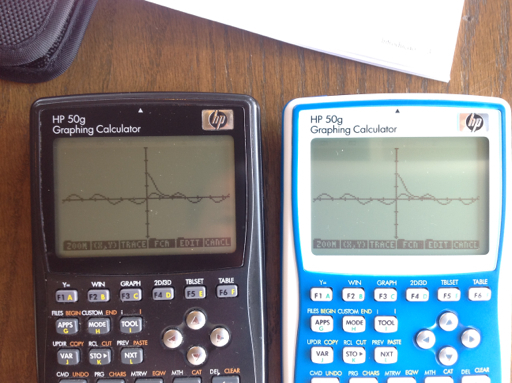 Some graphs "stabilize" after 10 iterations, and the result becomes a constant for each point in the domain. I will point that out when applicable. 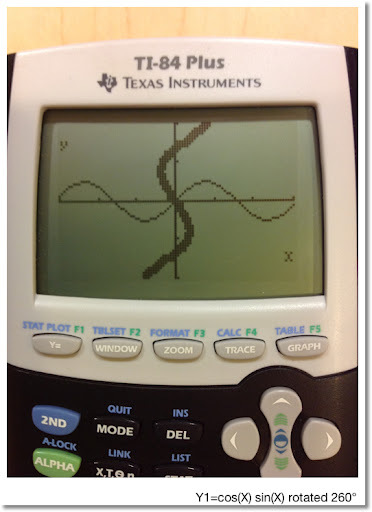 The next set has the domain x ∈ [0, 10] with the Scatterplot in increments Δx = 0.1. The function is in blue, and the Scatterplot in red represents the function repeated ten times. I am on vacation this week and loving it. 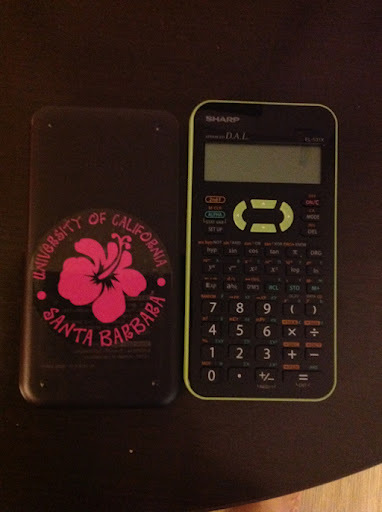 I visited UCSB and found the math department. Below is a picture to remember my visit by. 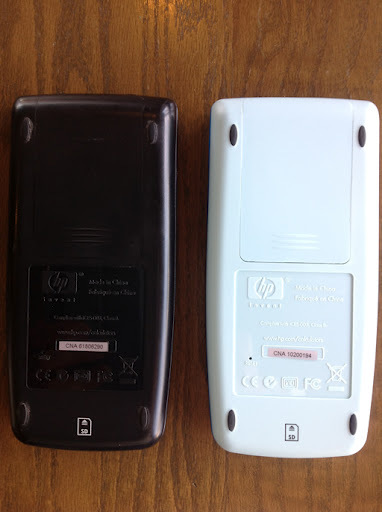 Look forward to blogging again in September! Chaos and a War Against Set Theory? 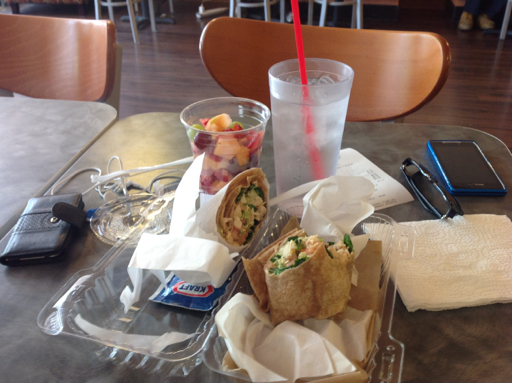 This is Eddie, at the Friends Cafe at Monrovia, CA, enjoying lunch and a great Friday. 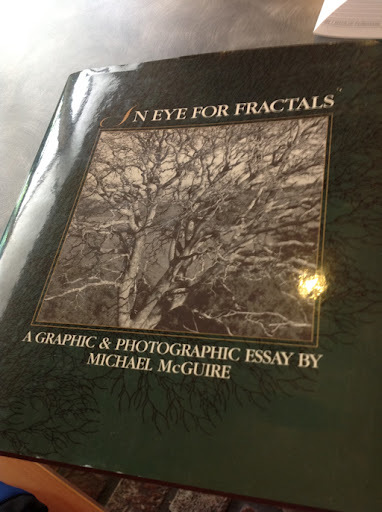 Below are three pages from a beautiful book, "An Eye For Fractals" by Michael McGuire (1991). I got this from Book Alley in Pasadena, CA. Book Alley has every book ever written, or at least it felt like it when the aisles literally full with books. My understanding of chaos theory and fractals is limited at this point. 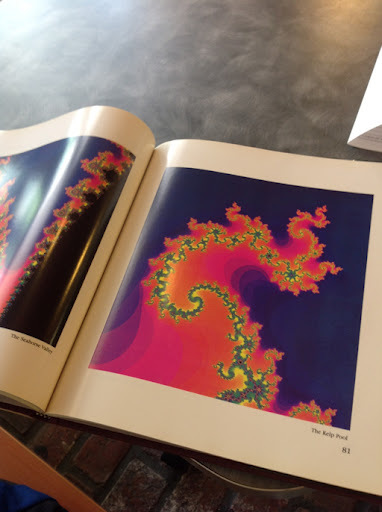 Making fractals involve applying repeating operations or calculations a lot (and yes this can include an infinite) of times and evaluating the results. 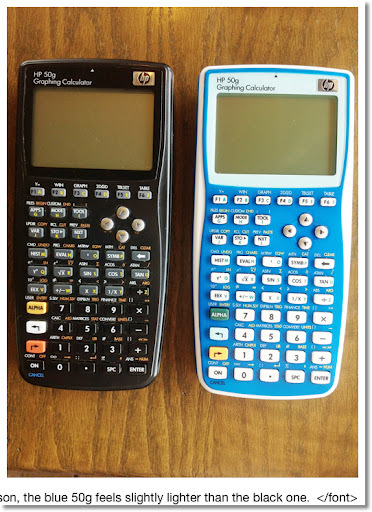 Famous examples of fractals include the Koch Snowflake, Sierpniski Triangle (the TI-82 manual had a program to generate this), the Cantor Set, and the Barnsley Fern. 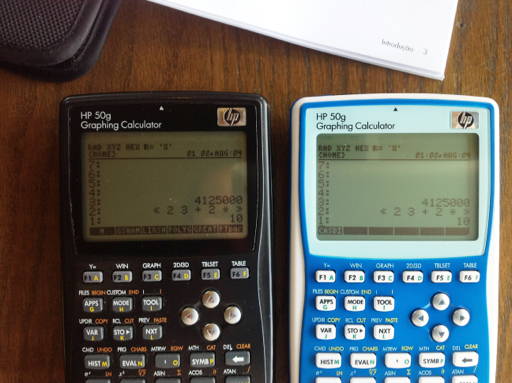 I have tried to plot the Madelbrot Set on a TI-84+, unsuccessfully. Or this is what the publishers at the Christian publisher A Beka want us to think. 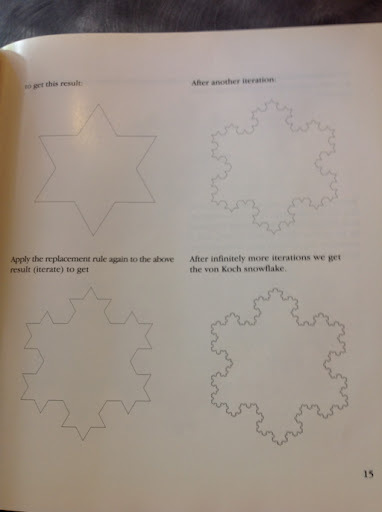 I first heard of the publisher while I listening to episode #108 of Math/Maths Podcast. Clicking this sentence takes you to the Math/Maths podcast page. You can also download their podcast through iTunes. They referred us to an article written by Maggie Koerth-Baker, which you can read by clicking here. I agree with Koerth-Barker. The fundamentalist books are out of touch with reality and is a disguised as an attack on anyone and everyone who does not belong to the fundamentalist tribe. To exclude or twist facts to fit an ancient text and to teach it to children can pry the door to another Dark Age. Mathematically, without set theory, we would be without, among other things, we would be without the ability to qualitatively compare groups of items, vector spaces, computing, and how to order objects of set. I would think that with A Beka's objection, we would not be able to tell which one of two members is greater or less - which would really screw up subtraction and the number line. 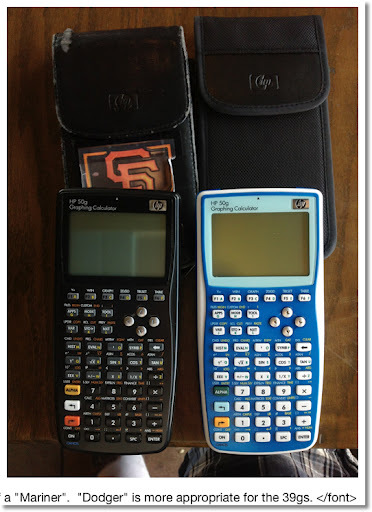 However, while I was writing this blog entry, I was informed by Samuel Hansen (of the Math/Maths podcast) Twitter that their objection is to modern set - so ordering of numbers and basic math is OK. Thanks, Samuel. 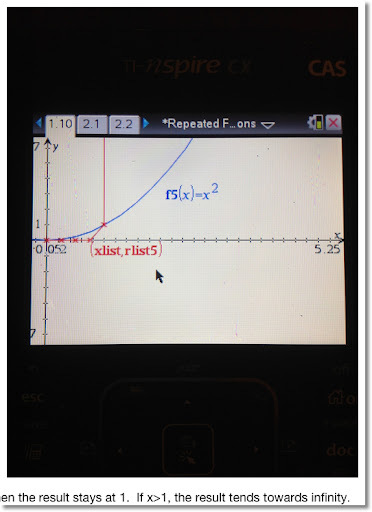 The following program rotates the function y1(x) at an angle θ. The angle θ is measured counterclockwise, with θ = 0 indicating due east (positive x direction). The rotated coordinates are compiled into two lists: one for x', and the other for y'. A stat plot is made of the resulting lists. 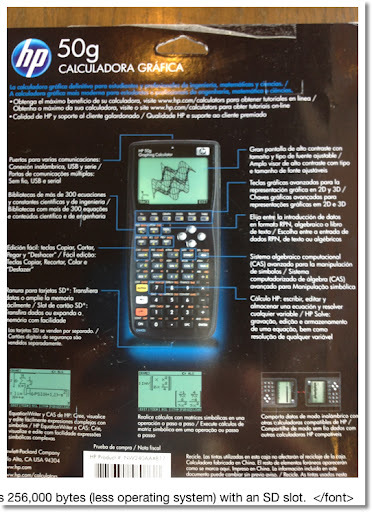 * Type the function in quotes and store it in the variable Y1. 2. Run ROTATEY1 (see below). The original Y1 is graphed along its rotated sibling. : Disp "TYPE ° FOR DEGREES"
Now some pictures. 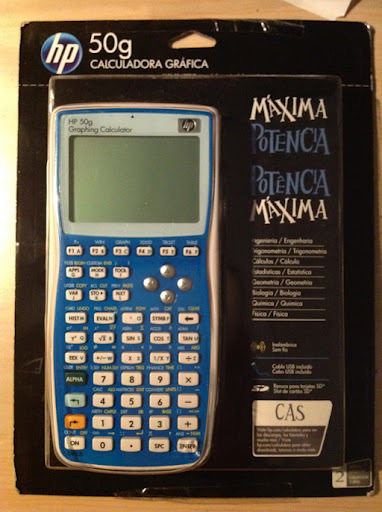 I posted a picture of the calculator in its packaging last week. You can check that out here. 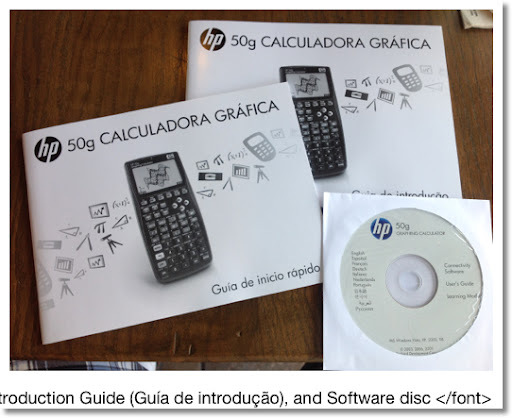 I will also be showing my black HP 50g, which I bought in 2006, and has been a companion when I was getting my Master's Degree in Mathematics. 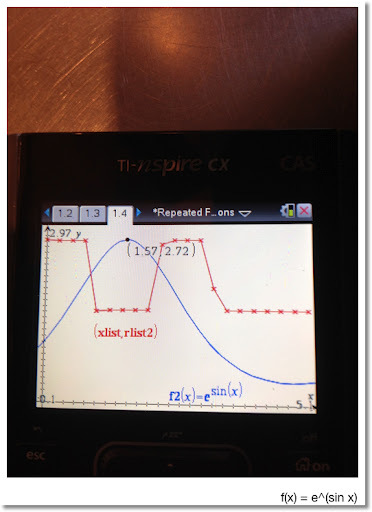 For today's blog, I will center the ellipse at the origin (0,0). * min(a,b) is the length of the semi-minor axis. min is the Minimum function, the least of a and b. * max(a,b) is the length of the semi-major axis. max is the Maximum function, the greater of a and b. 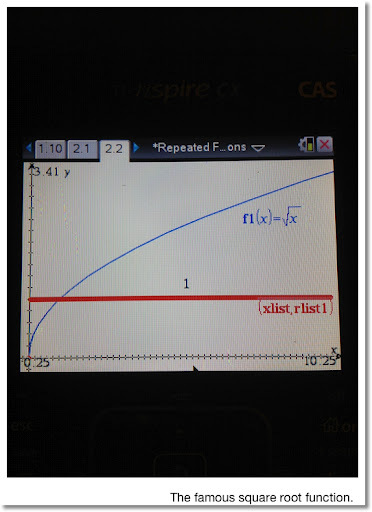 * The eccentricity of the ellipse is e = √ (1 - [min(a,b) / max(a,b)]^2). In this sense, e is not the constant 2.7182818285... . 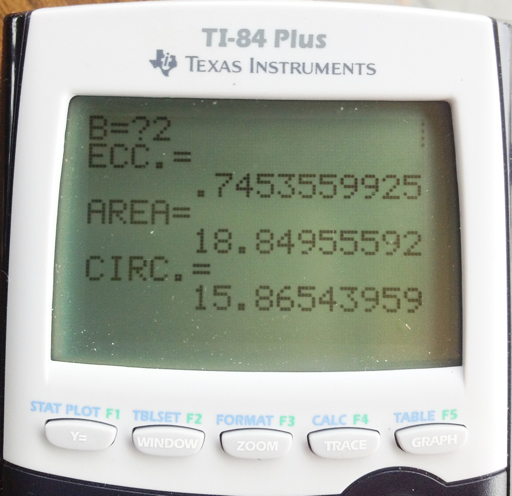 If e = 0, then the ellipse is actually a circle. Further more, you can determine where the foci are, which is the distance e * max(a,b) along the semi-major axis. 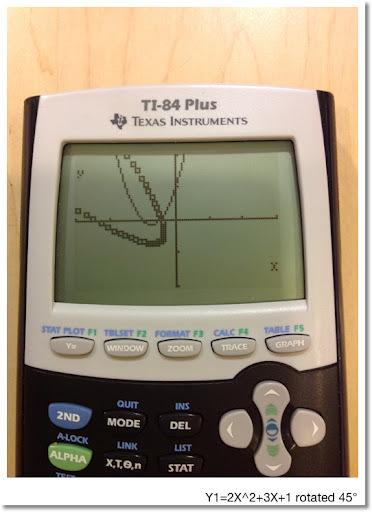 Any calculator with integration can handle this. 5. 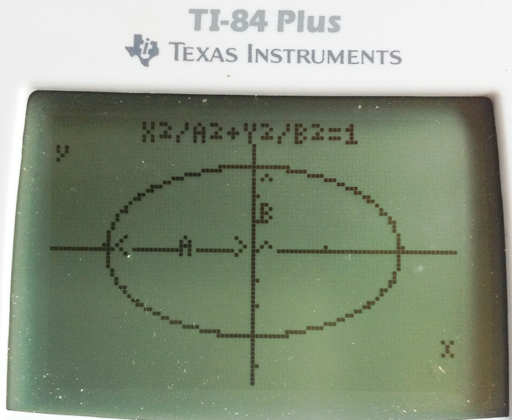 Draw the ellipse. 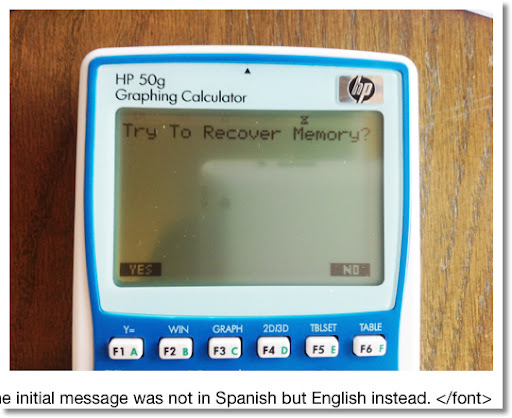 The program leaves the user on the graph screen. 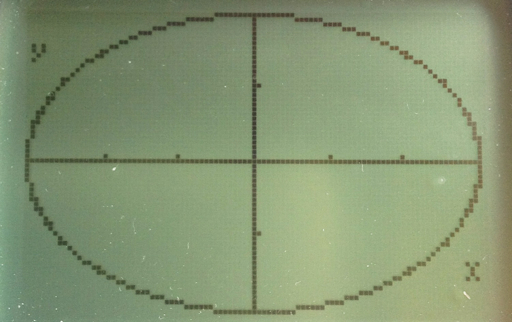 The ellipse can be traced and used for further analysis if desired. I thank you once again. Thank you to the followers of my blog, love the comments, I appreciate it. 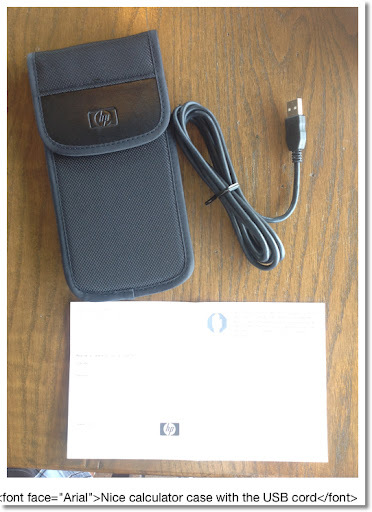 This is a HP 50g, only in a blue case.